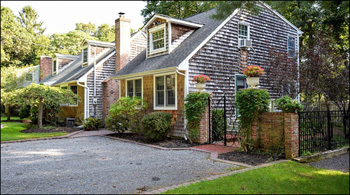 Bellport Real Estate. 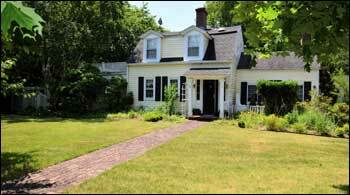 Homes for Sale in Bellport, Bellport Village, East Patchogue, Patchogue, Brookhaven, NY, Sayville, Mastic. 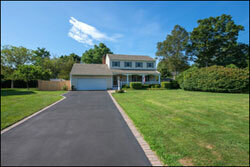 Below are current homes for sale and real estate available in Bellport and the surrounding areas. 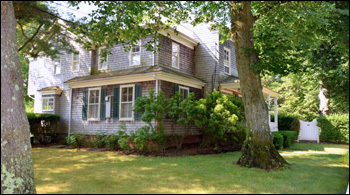 If you would like to submit a property of your own, please email us at office@bellport.com for more information and pricing. 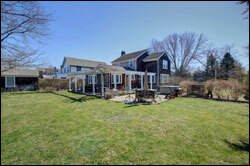 This Charming 1910 Home in the Village of Bellport is in Mint condition. Living room with Fireplace and Formal Dining room. Updated Kitchen with Stainless Steel Appliances, office, hardwood floors throughout, Enclosed sun room, 3 bedrooms, 1.5 baths and Brick Patio. Click here for a Virtual Tour. 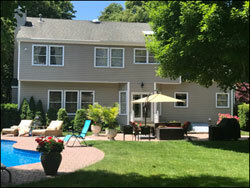 Darling Historic 1800′s Cottage, moved from Bellport Lane, features beautiful entry foyer, formal living room with fireplace, formal dining room with fireplace, office, 3 season room with french doors to yard, large country kitchen with magnificent tiled backsplash, stainless appliances, and granite countertops. There is also a bedroom near full bath, and laundry area. Upstairs is the master with bath that has jacuzzi tub, and lots of closet space. Wide plank wood floors, skylights, charming shed and detached garage, pergola off back deck, and gorgeous perennial gardens. 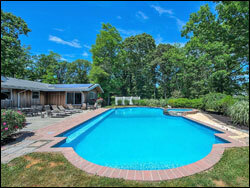 Stunning gardens at this meticulous Bellport Colonial. 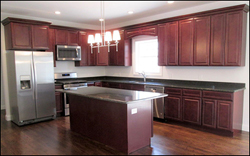 Living room with wood burning stove, gorgeous kitchen with brand new stainless appliances and granite countertops. 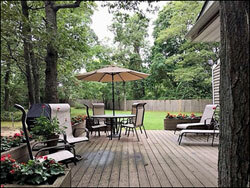 Breakfast area has loft and sliders to huge deck with electric awning and hot tub overlooking manicured gardens. There are a family room, dining room and powder room on the main floor. On the upper level are 3 bedrooms and full bath, with plenty of closet space. Finished basement, 1 car garage attached by breezeway, central air, and lovely brick patio. Move right in, nothing to do! 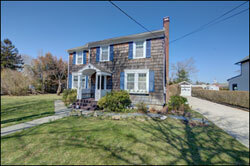 Gracious Turn of the Century 3 Story Home in the Heart of Bellport Village South. Beautiful 1900′s Colonial with 10′ ceilings has been redone and is near to marina, ferry, restaurants, and shops. Chef’s Kitchen opens to Great room which is light filled with southern exposure. Perfect for formal or casual entertaining. New burner, roof, custom windows, kitchen, and baths. 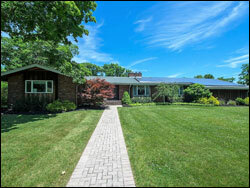 Large Ranch in the Village is the perfect family home. 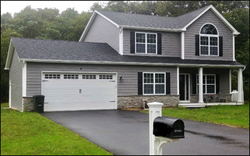 It features 4 bedrooms, 2 1/2 baths, a living room with ship lap and wood burning fireplace, large eat in kitchen which opens into spacious dining room, and great oversized family room with sliders to the outdoor deck, which is the perfect spot for Summer entertaining. There is a laundry room, plenty of attic space for storage, a full basement, and 2 car attached garage. Wood floors throughout most of the rooms, central air conditioning, new burner, and sprinkler system. All on .34 acres. 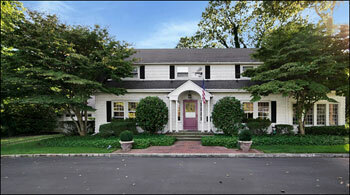 Pristine turn key Colonial in Brookhaven Hamlet. Immaculate in and out, this stunning home has a designer eat in kitchen with french doors to massive mahogany deck, formal dining room, library with gorgeous built-in’s, living room with fireplace and cathedral ceilings, den, laundry room, and powder room on the main floor. Upstairs are the master suite with large marble bath, and his & hers custom walk in closets, three guest rooms, theater room, and full bath. There is a screened porch with rooftop deck above, overlooking the manicured gardens and in ground heated gunite salt water pool with built in jacuzzi wrapped in blue stone. The pool house has 3 sets of french doors making a wall of glass. There are blue stone floors, a fireplace, full bath, wet bar, and outdoor shower. 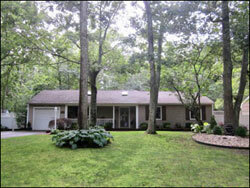 Detached 4 car garage, central air, sprinklers, oil heat, and full basement on 1.5 acres. 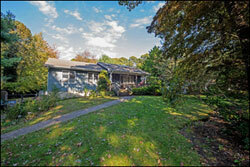 Gorgeous Cape with Attached Legal 1 Bedroom Cottage in the Hamlet. The Main House features a living room with wood burning fireplace, an eat-in kitchen with brand new stainless appliances, granite countertops, and sliders to deck. A formal dining room, full bath, and bedroom with sliders complete the downstairs. 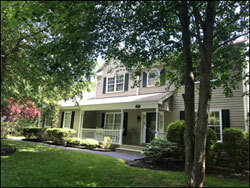 Upstairs are a former bedroom now converted into family room, full bath, and master bedroom. 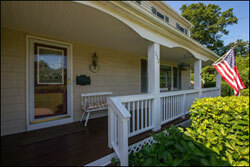 The attached cottage has a living room, eat in kitchen, washer and dryer, and powder room on the main floor. Upstairs are a bedroom and full bath. A full unfinished basement with work area and bilco doors, 5 yr old Budaris heating/water system, beautiful deck and gardens complete this package. Across the street is the wooded Post Morrow Preserve and Board Walk. 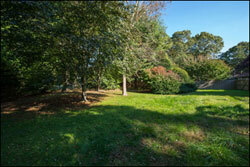 Deeded beach rights and associated docking rights included. Near to the Hamlet Organic Garden, Brookhaven Free Library, and Squassux Marina. 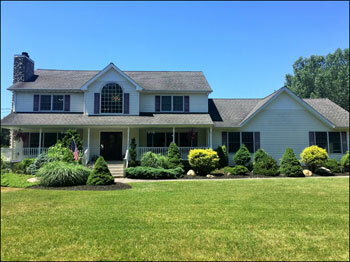 Three floors of elegant living in this impeccably maintained home situated on 3.4 acres conveniently located between the villages of Bellport and Patchogue. Surrounded by professionally landscaped, mature gardens, the house was built in 1928 and reflects the quality and integrity of that era. 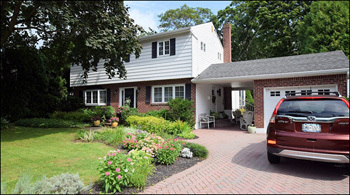 An impressive semi-circular driveway, leads to the formal entryway and into a spacious and light filled first floor which features a large living room with fireplace, formal dining room, library, den and chef’s kitchen. The second floor has a master bedroom suite, an ensuite bedroom, plus two additional bedrooms and a full bath. 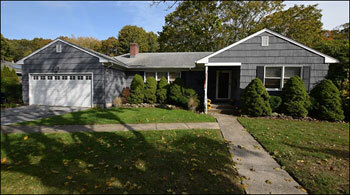 The finished basement is large and bright and has a full bath. A classic home perfect for modern living.